While many young people are opting out of organized religion, a sizable minority of “leavers” have adopted alternative spiritualities. Religion writer Jon Meacham wrote a piece in the April 13, 2009, edition of Newsweek titled “The End of Christian America.” According to Meacham, Christians are now making up a steadily declining percentage of the American population. Referencing 2009 ARIS results, he writes that the percentage of Americans who identify themselves as Christians has fallen ten percentage points since 1990, from 86 to 76 percent. Apparently, Americans are becoming increasingly non-religious or they are turning to alternate religions—such as Eastern forms of spirituality or other “New Age” religions. During this same time period, according to ARIS figures, the number of people willing to describe themselves as atheists or agnostic has increased from 1 million to 3.6 million. This strongly indicates movement toward non-Christian religions, as many of those who are now describing themselves as “agnostic” are actually anti-Christianity. In other words, Americans who were previously “religiously unaffiliated”—including those who have become entirely disenchanted with Christianity—are increasingly turning to New Age and Eastern religions as alternatives to Christianity. Meacham writes that “many conservative Christians believe [America] has now entered a post-Christian phase.” (In this context, post-Christian describes a significant decline in the importance of Christianity in society.) Albert Mohler, president of the Southern Baptist Theological Seminary, one of the largest in the world, shares this viewpoint: “The post-Christian narrative … offers spirituality, however defined, without binding authority [that is, a form of “spirituality” lacking clearly-established authority, such as provided by the Scriptures]. It is based on [a perspective] of history that presumes a less tolerant past [such as under rigid, conservative evangelicalism] and [the expectation of] a more tolerant future [such as found in New Age-type religions where virtually anything goes and all viewpoints have validity], with the present as an important transitional step.” Meacham adds that what we see happening in Christianity today “is less about the death of [the Christian] God and more about the birth of many gods”—New Age pantheism. As mainstream Christianity fails to deliver on its promises, more and more churchgoers are reaffirming their faith through small, home-based fellowship groups. Others, however, are reaching the unfortunate conclusion that God (as they define Him) is not limited to Christianity—that He can be found through other forms of “spirituality.” This, at least in part, explains the recent upsurge in New Age forms of religion. New Age “spirituality” is a catch-all for various blends of Eastern-styled “faiths” such as Hinduism, Buddhism, etc.—including several off-beat occult type religions. New Age religion revolves around one central theme (with minor variations). In his book Understanding the New Age, Russell Chandler says this theme can be summed up in three words: All is one. He explains that in New Age mysticism humans have a suppressed or hidden “higher self” that reflects the divine element of the universe. This “higher self” is the New Age God, sometimes referred to as “Infinite Intelligence” or “Ultimate Reality.” Chandler gives the following formula: “All is One. We are all One. All is God. And we are God” (p. 29). This pantheistic theme teaches that God is in everything and in everyone—thus, you are God. According to New Age teachings, everything one needs for a life of contentment, purpose and fulfillment comes from inside of you—love, peace, joy, the truth. All such “divine qualities” are universal and are innately part of your innermost being—your “essence identity.” You only have to “quiet the mind”—which mostly tends to hinder your quest for “enlightenment”—and “tune in” as it were to your true, inner self. Evil does not exist; the undesirable aspects of your existence (your dysfunctional, selfish, materialistic nature) are not really you; they are part of the mind, from which you must free yourself. Contrast this with what Jesus taught, that the human heart is actually a source of deceit, evil, pride and corruption (Mark 7:15-23). The prophet Jeremiah wrote that the human heart is deceitful and “desperately wicked” (Jer. 17:9). Indeed, there is a way that seems right to the human mind, but it only leads to death (Prov. 14:12). One of the leading forces in New Age religion worldwide is Eckhart Tolle, with two “spirituality” best-sellers: The Power of Now and A New Earth—Awakening to Your Life’s Purpose. Tolle writes: “I cannot tell you any spiritual truth that deep within you don’t already know…. Living knowledge, ancient and yet ever new, is there [inside you] … [waiting to be] activated and released from within every cell of your body” (The Power of Now, p. 9). In New Age mysticism, truth is never defined, it just is. “The Truth is inseparable from who you are. Yes, you are the Truth. If you look for it elsewhere, you will be deceived every time. 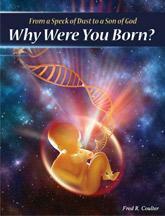 The very Being that you are is Truth” (A New Earth, p. 71). Moreover, commandment-keeping—a fundamental part of the Christian way of life—is deemed irrelevant in New Age philosophy. “When you are in touch with that [divine] dimension … all your actions and relationships will reflect the oneness with all life that you sense deep within. This is love. Laws, commandments, rules, and regulations are necessary [only] for those who are cut off from who they are, the Truth within” (p. 72). Such perverted religious psycho-babble can potentially influence unsuspecting Christians—especially those who are tempted to look outside of Christianity for spiritual fulfillment. Chandler writes that while New Age motifs are being “openly embraced” by the more liberal elements of Christianity, New Age groups “often co-opt the language and trappings of the traditional Christian churches, thereby making newcomers feel more comfortable in their transition to alternate forms of belief and practice” (p. 207). The highly popular media mogul Oprah Winfrey, a huge supporter of New Age spirituality, sponsors a “mind training” program called “A Course in Miracles.” According to Chandler, the much-touted course—which espouses a worldview in which there is no sin, no evil, no devil, and where God is in everyone and everything—is “couched in Christian terminology with a psychological application” (p. 212). Why would a New Age “spirituality” course need to use Christian terminology—except to seduce naive Christians? Another key New Age proponent, Deepak Chopra, has recently turned his sights on Christianity with his menacing book, The Third Jesus. Chopra, a self-styled “spiritual” writer and Eastern guru, has been a major force behind the rapid growth of New Age spiritualism in America over the past four decades. According to his book, Jesus’ teachings on morality and conduct were “too radical to live by” (p. 2). Stressing what he calls the impractical nature of Jesus’ instructions, he writes: “You can struggle your entire life to be a good Christian without succeeding in doing what Jesus explicitly wanted.” But what Chopra and others like him fail to understand is that, with God, all things are possible (Matt. 19:26). While God does not expect Christians to become perfect in this life, we are to be working diligently towards perfection—to be conformed (a process) to the image of Christ (Rom. 8:29). Ultimately, such conversion and transformation is impossible without the Holy Spirit of God. Rather than taking Jesus’ teachings literally—do unto others as you would have them do unto you (Matt. 7:12); love your enemies, bless those who curse you (Matt. 5:44); resist not evil, but turn the other cheek (Matt. 5:39); etc.—Chopra claims that Jesus was actually pointing His disciples “toward a mystical realm, the only place where human nature can radically change” (p. 2). Literal obedience to practical laws and commandments is replaced by the “radical and mystical” path of seeking “God consciousness” (p. 10). 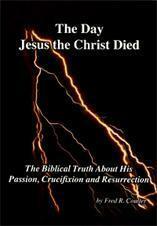 Shockingly, he writes that “Christianity was forced to compromise Jesus’ vision…. It’s easy to see why the new world Christ envisioned was so quickly abandoned after He died. It had to be modified by realists” (pp. 3, 18). Accordingly, Jesus’ plan could only be accomplished by attaining the “highest level of enlightenment.” “Our task,” he writes, “is to delve into Scripture and prove that a map to enlightenment exists there” (p. 10). Disastrously, Chopra’s unbiblical “worldview” has found significant favor among “Christians” who despise commandment-keeping. After all, we are by nature antagonistic towards God’s laws and precepts (Rom 8:7). Only God knows how many weak, fence-riding Christians have fallen for such demon-inspired psycho-babble. Indeed, a key reason for the appeal of New Age religions is that they, like “cost-less Christianity,” require little or nothing in the way of commitment or fidelity to a standard of conduct. New Age practitioners essentially live as they please; moral absolutes simply don’t exist. Their much-sought-after “state of enlightenment” essentially puts them on the same level as God. Adam and Eve tried this—“you shall be as gods, deciding good and evil”—and look where it has brought us. Devout Christians who study their Bibles can readily see the dangers in New Age teachings. Ultimately, New Age religion is a feel-good invent-your-own form of “spirituality” that can lead to contact with “the prince of the power of the air [Satan the devil], the spirit that is now working within the children of disobedience” (Eph. 2:2). Unfortunately, too many young people are opting for such “religions” because they are turned off by a “Christianity” that apparently makes no real difference in their lives. As mainstream Christianity continues to decline for numerous reasons—not the least of which is its utter ineffectiveness—more and more Americans (especially the younger ones) will be tempted to experiment with various New Age/Eastern religions. Most, however, will seek out a brand of Christianity they can call their own—but it will definitely be outside of the “brick and mortar” corporate church. As previously noted, 2009 ARIS statistics show that the number of Americans who claim no religious affiliation has nearly doubled since 1990, rising from 8.1 to 15 percent. According to Meacham, “The rising numbers of religiously unaffiliated Americans are people more apt to call themselves spiritual rather than religious.” Other studies have indicated that about 40 percent of this “unaffiliated” group turn out to be atheists. The remaining 60 percent—still a significant number of Americans—claim to be merely “religious” or “spiritual” without identifying a particular religious preference. As we’ve seen, some of these have turned to various New Age religions. But Duin suggests that these and related statistics show that there are plenty of Americans who are interested in spiritual matters, but prefer to find spiritual fulfillment outside of organized Christianity (p. 13). To put it another way, more and more Americans are apparently claiming to be “unaffiliated” because of their disenchantment with organized Christianity. They still consider themselves to be Christian, but are intent on finding God in an alternate setting—such as small groups and home-based fellowships. Duin writes of numerous trendsetters who are forging ahead with strategies to meet the needs of those believers who prefer to remain outside of the established church. One such evangelical leader, Mark Batterson, began in 1996 to promote “coffeehouse churches” in the Washington, DC area. In an interview with Duin, he said, “God is calling the church out of the church. We love the marketplace [coffeehouse] environment because the de-churched and unchurched people are intimidated by [traditional] church” (p. 74). Another trendsetter, Louis Brown, says 80 percent of the American population claims to be “faith-based,” but only 18 percent go to church. Brown, co-producer of The Bible Experience, an audio dramatization of the Bible aimed at young people, asks, “So where are they getting their faith content?” (p. 44). For the unchurched who truly are “faith-based,” they are finding it at home. According to a 2006 Barna Group survey, nine percent of American adults are involved in some form of house church (this equates to 20 million people attending such a “service” each week). The balance of unchurched believers attend similar small-group meetings; some bounce back and forth—mostly going to church on Sunday and participating in a midweek home study. Still, the “church at home” trend is clearly gaining momentum. Shane Claiborne—author of the controversial book The Irresistible Revolution, in which Claiborne describes what he considers an authentic faith rooted in action—is solidly behind the idea that “smaller is better.” In an interview with Duin, he said, “The world is thirsty for another way of life. Our culture is starving for answers, as the old ones have gone bankrupt” (p. 44; emphasis added). Small groups and home fellowships, he said, are “giving visibility to Christianity as a way of living rather than as just a way of believing.... [There is] more to Christianity than just believing. When people see there are ways of living that don’t conform to the patterns of the world, that is very attractive” (p. 43). Here, Claiborne suggests what has been verified by Kinnaman in his book unChristian—that nominal Christianity is seen by outsiders as more of a “set of beliefs” than a genuine way of life. Barna fully supports the idea of church at home. Of his own experience, he says, “It’s the best thing we’ve ever done.... Everyone in the [home] church is really involved. We really look out for each other. It is one big extended family of twenty-three people” (Duin, p. 59). According to researchers, many of those who are moving on to home churches say they are tired of church hierarchies that are too controlling. They are also fed up with church politics. But, as Duin notes, those who do not fit into standard “churchanity” also realize that they need like-minded fellowship—that they cannot simply opt out of the body of Christ. They have come to see that the true church is spiritual—where “two or three people get together” in Jesus’ name (p. 61; see Matt. 18:20). Attendance is based on desire rather than obligation. A 2007 Barna Group study demonstrated that Christians had a “higher level of satisfaction” with their house church than they did with regular church. Barna concludes that those attracted to house churches are either young adults interested in finding spirituality and faith—but who are turned off by the organized church—or baby boomers who are seeking a deeper and more intense experience with God (Duin, p. 61).